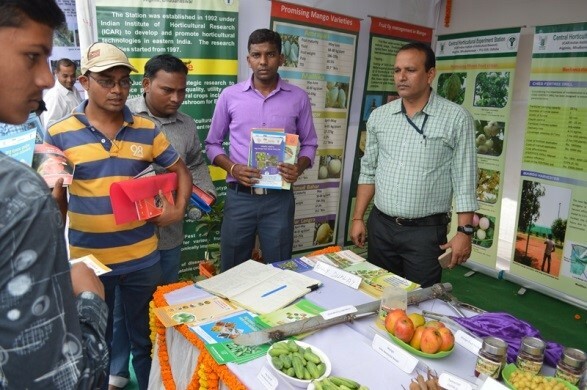 Central Horticultural Experiment Station (ICAR-IIHR), Bhubaneswar participated in Inter-state Agri-Horti Fair held on Feb., 20-22, 2016 at Bargarh. The fair was jointly organized by ICAR and National Horticulture Board to showcase agricultural and horticultural technologies to farmers. The fair was inaugurated by Sh. Radha Mohan Singh, Hon’ble Union Minister of Agriculture and Farmers Welfare, Govt. of India. In exhibition CHES displayed varieties of mango, sapota, bael, underutilized fruit crops and vegetables, production and protection technologies and value added products. Vegetable transplanter, mango harvester, TSP activities, CHES FERTREE DRILL and IIHR micronutrients were also displayed. Role of CHES in production of quality planting materials of improved varieties of fruits and vegetables were also displayed. Sh. Radha Mohan Singh Ji visited the stall and was apprised of the activities of the CHES to promote horticulture for the benefit of farming community. Hon’ble Minister inaugurated the exhibition after conducting a review meeting of ICAR institutes at OUAT Bhubaneswar. Countless farmers visited the stall and got acquainted with the feasible horticultural technologies and availability of quality planting materials of fruits and technologies. 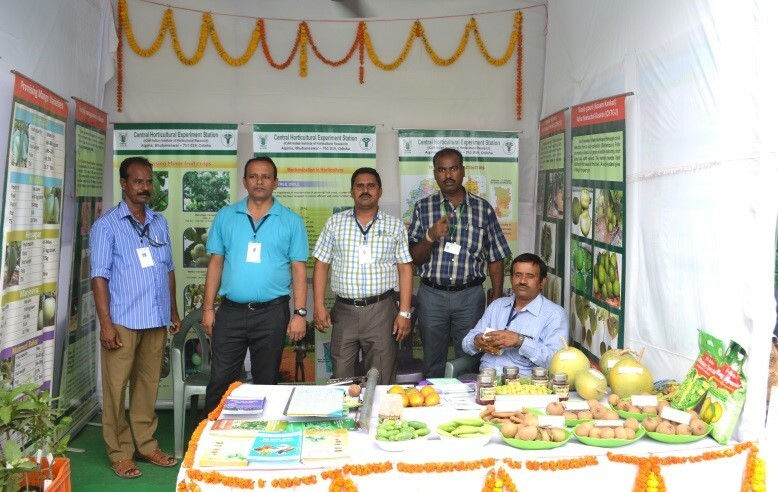 Dr. H S Singh, Dr. G C Acharya, Dr. Kundan Kishore and Dr. P Srinivas interacted with the farmers at the stall and suggested scientific production technologies for fruits and vegetables to them. A Farmers Seminar was also organized to address the problems of farmers related to field crops, horticultural crops, animal sciences and fisheries. 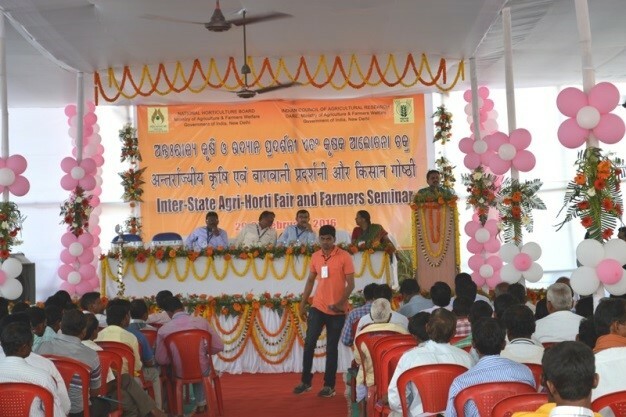 Dr. G C Acharya described the activities of CHES, Bhubaneswar for promotion of horticulture in the region and answered the farmers’ queries. This exhibition at faraway place was coordinated by Dr. Kundan Kishore with the help of Sh. B C Patra and G C Sundray.